Ranosys, a leading Professional Magento Solutions Partner, always looks for opportunities to add value to the Magento Community. Singapore Magento User Group Meetup is one such initiative of Ranosys to bring together Magento developers, eCommerce experts, and digital commerce practitioners to provide them a platform to share their experiences, get insights into latest Magento trends, and brainstorm ideas for effective problem-solving. 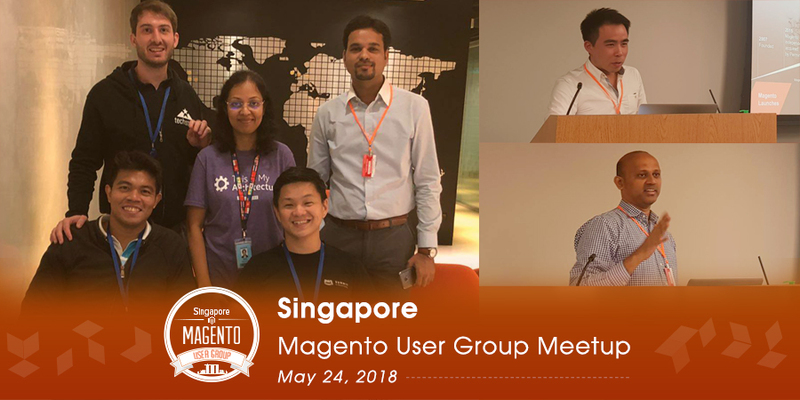 Ranosys, with an aim to share Magento knowledge with the Magento Community and discuss new happenings in the Magento world, organized Singapore Magento User Group Meetup on 24 May 2018, at Amazon Web Services Office, Singapore. 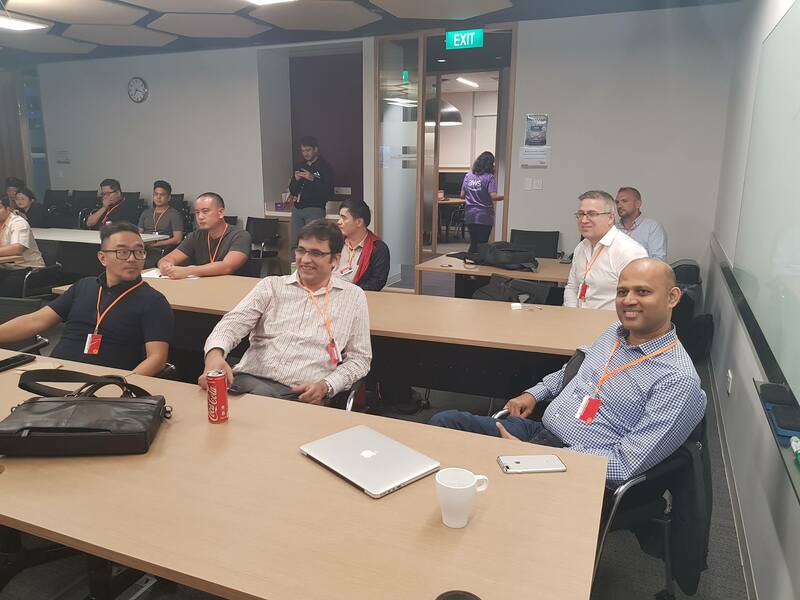 The Meetup was attended by various user groups, including Magento APAC team,developers and merchants. 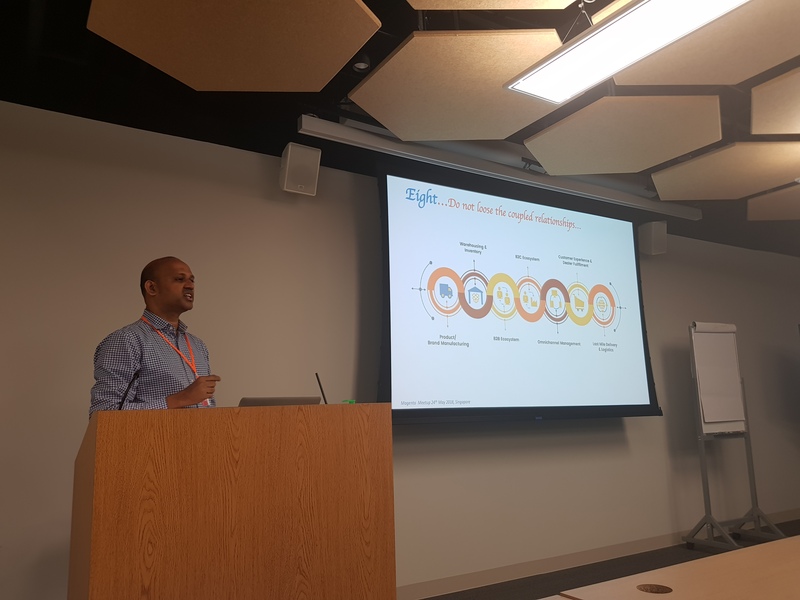 The interactive sessions covered various topics, including how organizations can transform their eCommerce presence, running and scaling Magento on AWS, and Magento Commerce for B2B and B2B2C. The session began with a power-packed presentation by Kai Chun Tang, the Channel & Alliance Partners Business Development Manager with Magento. He shared valuable knowledge on how to drive new business and transform eCommerce presence. 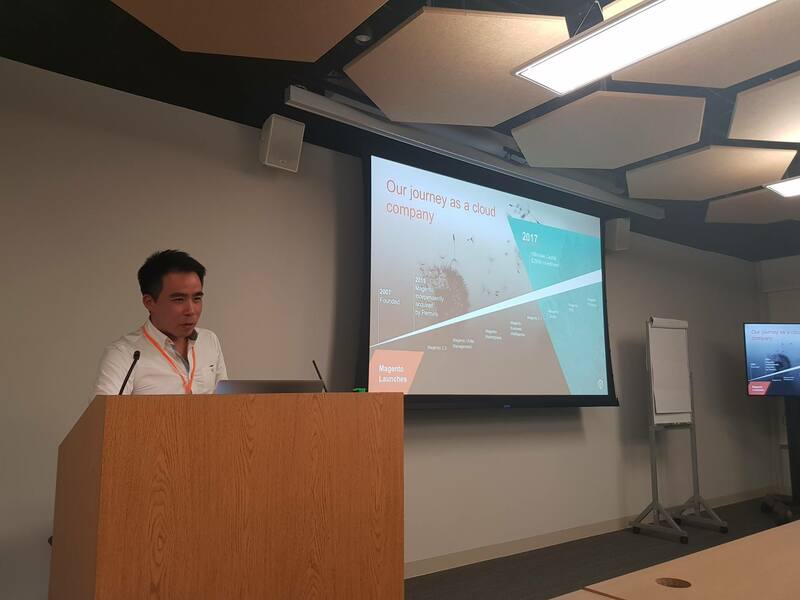 The audience was interested to know more information about Adobe acquiring Magento and its impact on the platform, which was responded by Kai Chun and Dene Schonknecht, Director Channel Sales with Magento. Further, they spoke about how the entire acquisition process will affect the branding of Magento. 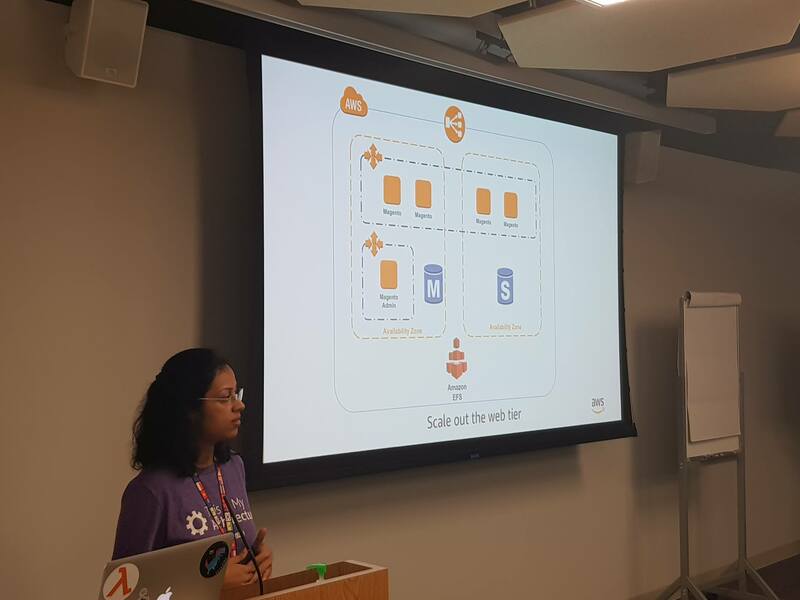 Moving forward, Arthi Jaganthan, a Solutions Architect with Amazon Web Services (AWS), discussed how to integrate AWS with the Magento platform. She threw light on the best practices for deploying Magento on AWS using services such as Amazon Virtual Private Cloud (Amazon VPC), Amazon Elastic Compute Cloud (Amazon EC2), Amazon Relational Database Service (Amazon RDS), and Amazon Simple Storage System (Amazon S3), etc. Vijay Pagadala, CSO, Ranosys, made the entire discussion more interesting by highlighting a few live case studies of large implementations. Further, he focussed on key design, architecture, and deployment of Magento Commerce for B2B and B2B2C. Concluding the session, Ranosys announced that it will organize the first ever “Meet Magento Conference” in Singapore on 27th August 2018, at Marina Bay Sands. Post presentations, the attendees got an opportunity to connect with each other and discuss ideas as well as share learnings. 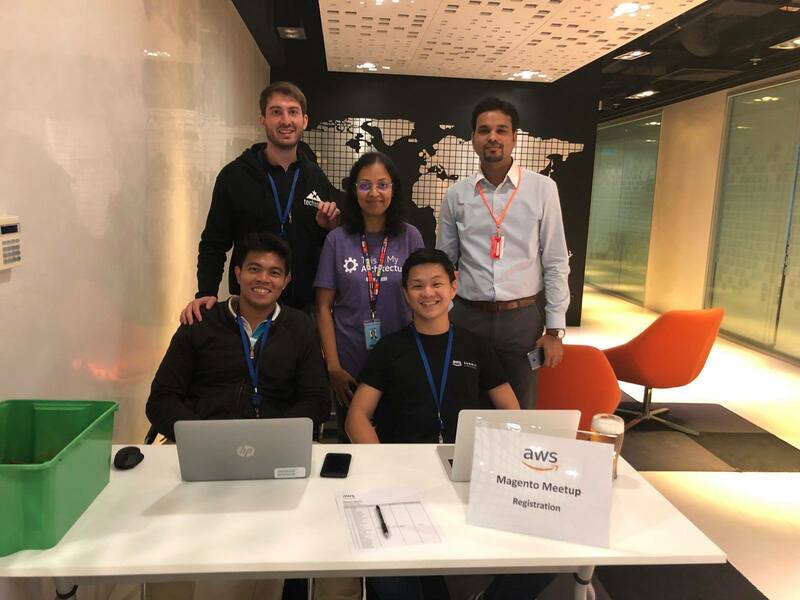 We would like to extend our sincere appreciation to attendees, speakers, and venue & food sponsor (AWS) for their support and making this Meetup a success. Looking forward to meeting you soon in the next Meetup!